We continue our podcast with episode 3 of season 2 of the Walking Dead. Shane and Otis are still at the high school and are having trouble with walkers. Carl can only survive if Shane can return with the medical supplies needed. Will he make it in time? Listen to find out. 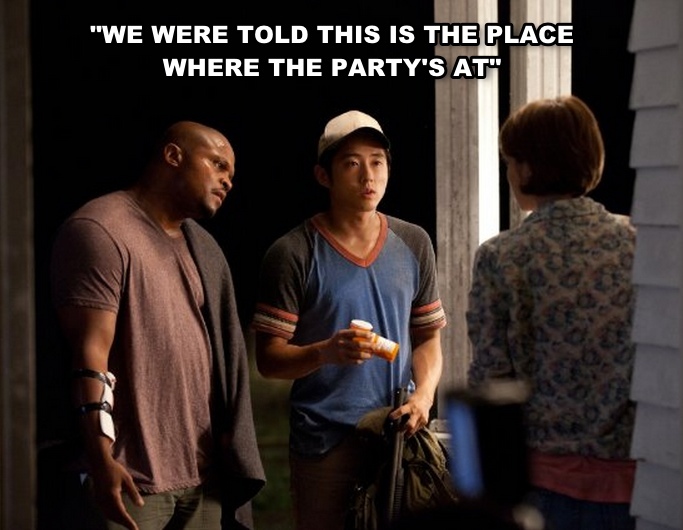 T-Dog and Glenn try to convince Maggie that they're not drug dealers.